If you’re planning a rustic wedding in 2018, this post is for you! 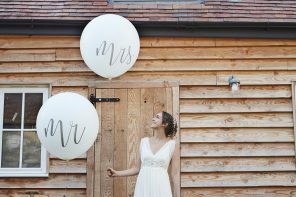 We know just how much there is to do in the run-up to your big day, so we’re putting together a series of blog posts detailing every aspect of a beautiful rustic wedding! We’ve already covered table decorations and today is the turn of guestbooks! Read on for our favourites. 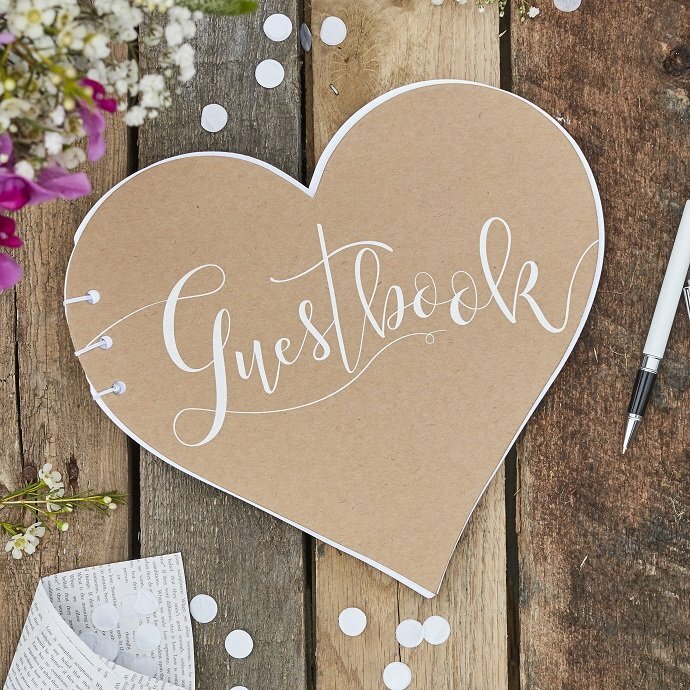 This rustic guestbook may look ordinary… But wait until you see inside! 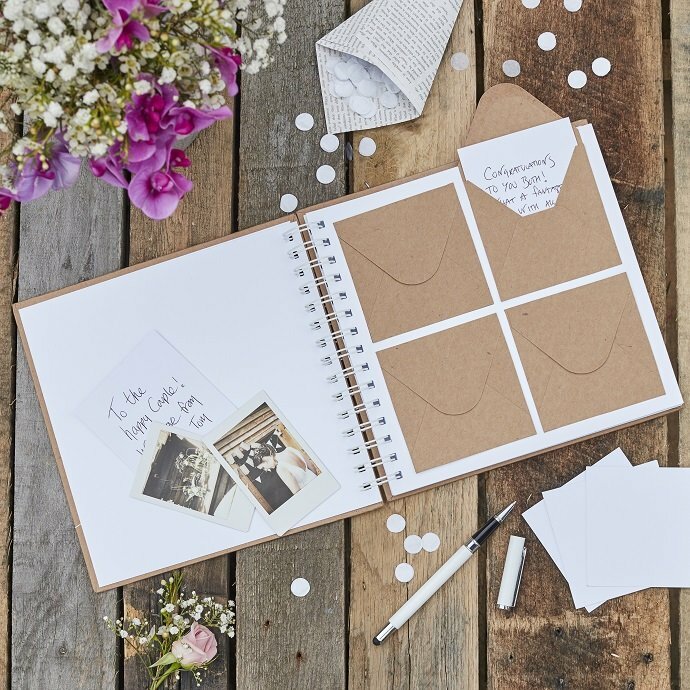 Each page has four envelopes where guests can leave a little note to the happy couple. 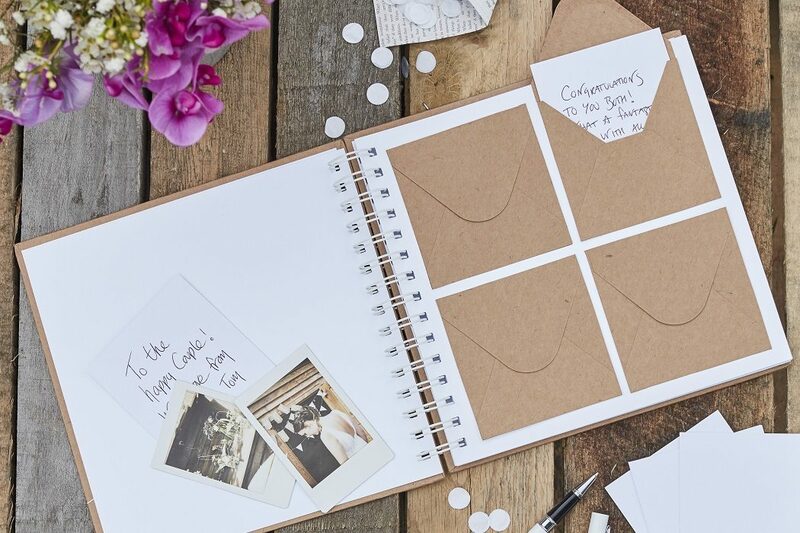 You could even leave a Polaroid camera next to the guestbook so that guests can take a photo of themselves and leave it in their envelope! 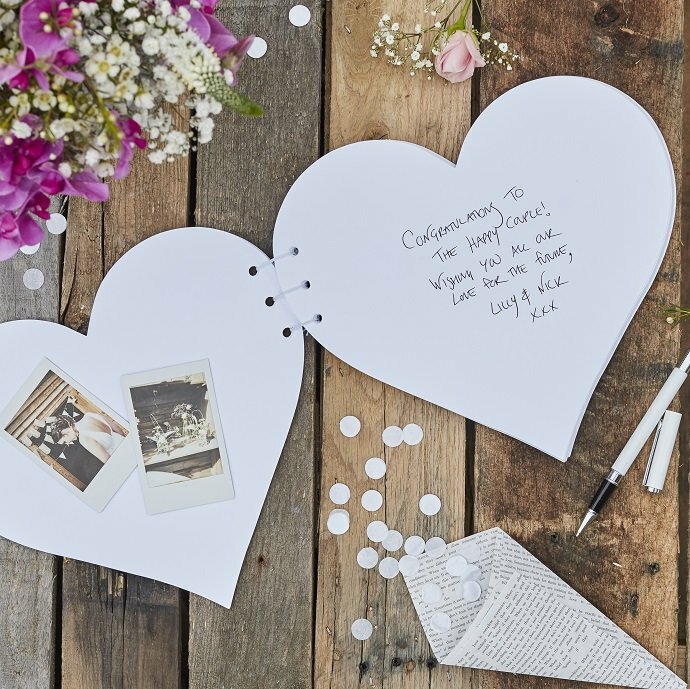 Or for something a little different (yet equally beautiful), how about this lovely heart-shaped guestbook? How about asking your guests to stick Polaroid pictures of themselves on one side and write a message on the other? If you’re looking for a beautiful guestbook that you can display in your home after the wedding, how about this lovely peg and string guestbook? 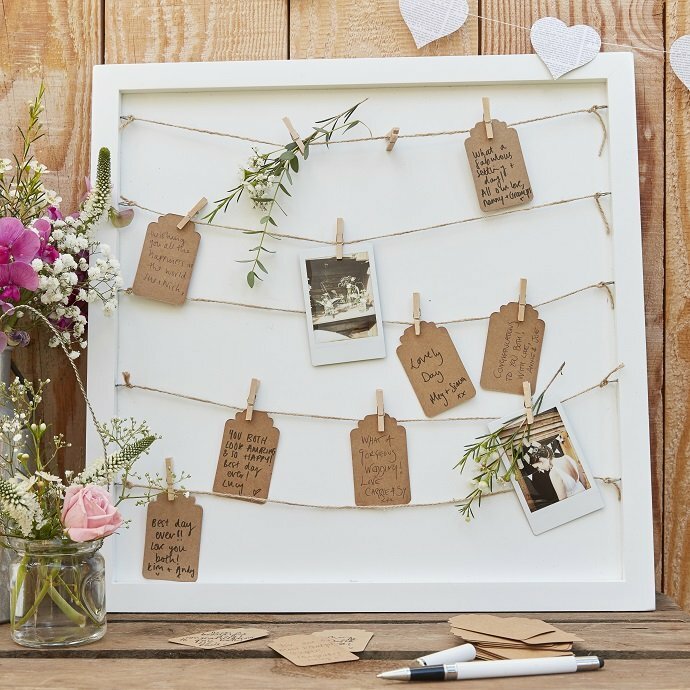 Ask your guests to write a message on a tag or take a Polaroid picture of themselves and peg it on! 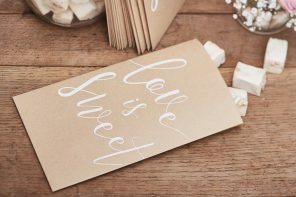 In addition to a rustic guestbook, here are a couple of extras things that you might like to have as a memento of your big day! 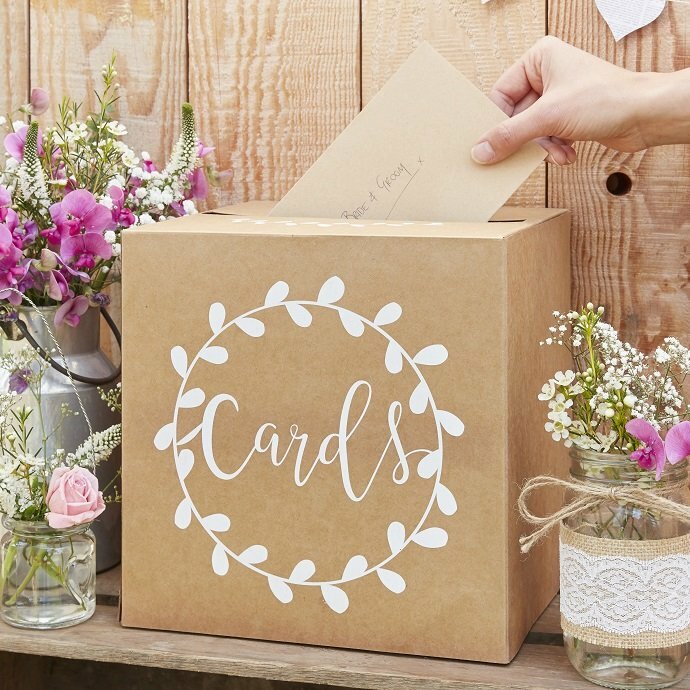 You can expect to get a LOT of cards at your wedding – so it’s a good idea to get a box to collect them in! 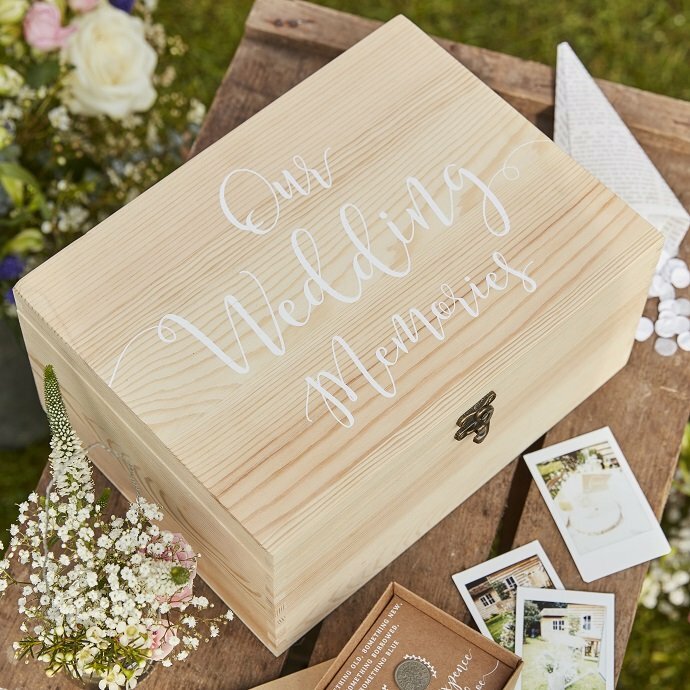 This lovely card box would fit right in with your rustic wedding decorations. 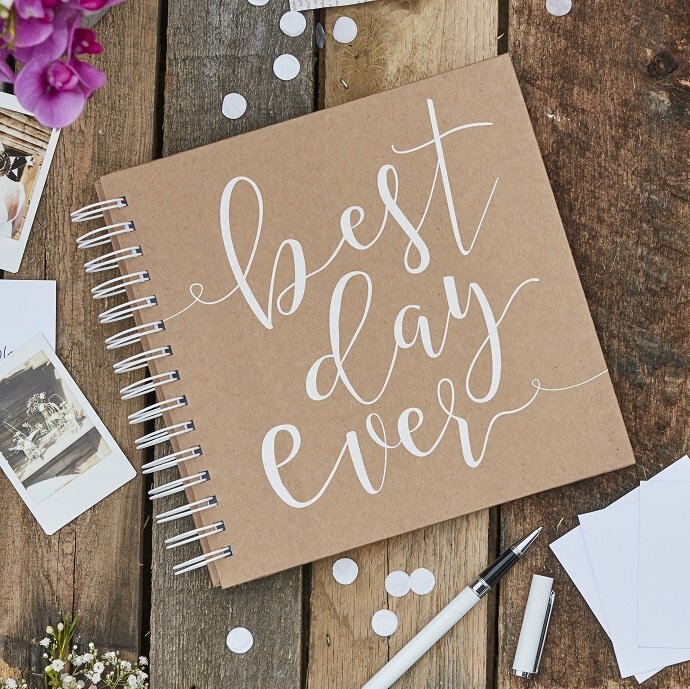 As well as cards and photos, there may be a couple of other little things you’ll want to keep from your wedding (favours, confetti, etc) that you’ll be able to look back on in years to come and remember the day. 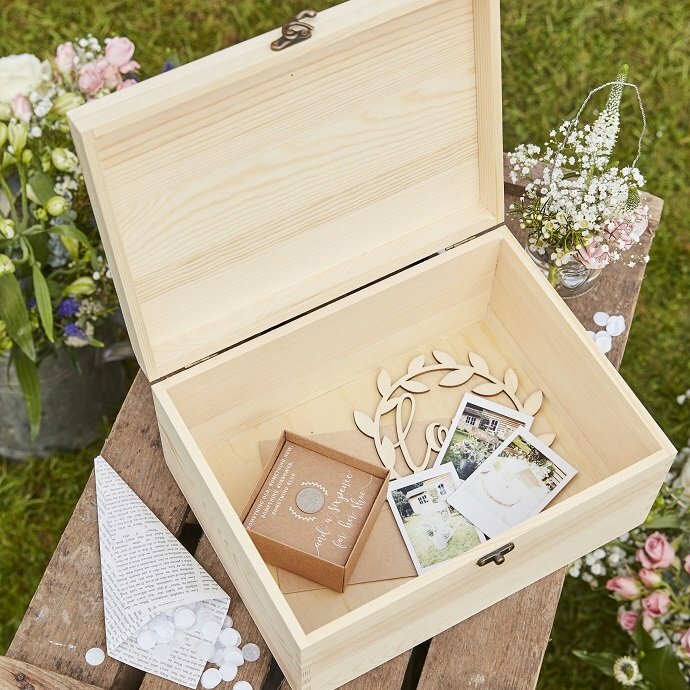 This wooden memory box has plenty of room for all your wedding keepsakes – and is beautiful enough to display in your home! Ready to plan your own rustic wedding? 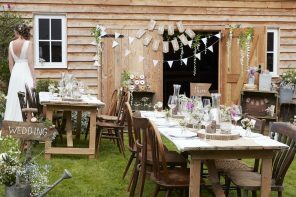 Find all the items featured in this post in our range of Rustic Country wedding supplies or stay on our blog for more inspiration!